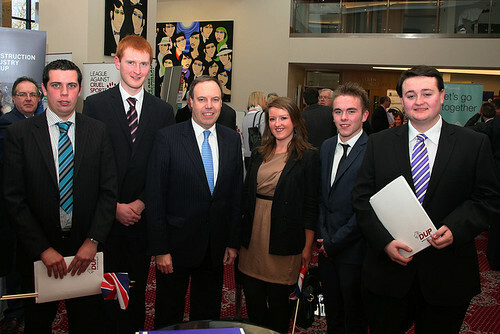 Many young members of the DUP attended the annual Party Conference at La Mon Hotel, Castlereagh. Of particular interest was one of the lunchtime workshops on offer entitled ‘Young Political Leadership – A View from the Front Line’, in which a panel including the chairmen of Queen’s DUA and University of Ulster DUP and Councillors Alison Brimstone, Gavin Robinson and Sharon Skillen each shared some of their personal political experiences and gave their views on the role of young people in the Party. 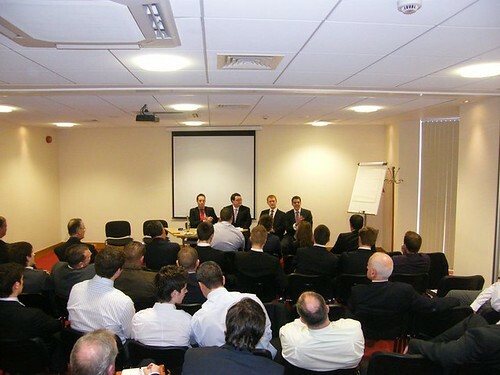 Delegates also heard panel discussions and speeches from Sammy Wilson MP MLA, Arlene Foster MLA, Jeffrey Donaldson MP, Rt. Hon. Nigel Dodds MP and our leader, Rt. Hon. Peter Robinson MLA. View the pre-conference Party Political Broadcast here.